Did you know that every day we post free & sale Kindle books on our Facebook pages? This is one of the main reasons why I have 2 Facebook pages: one is eReader1 UK for links to amazon.co.uk and the other is eReader1 US and links to amazon.com. eReader1 US also works for any country that uses amazon.com for their kindle books. The only reason I specify US in the title is I can only see US pricing on .com so I don't know if the book is free everywhere. 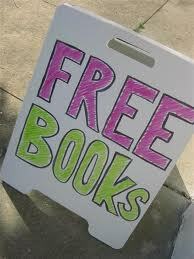 General rule is that the books must be free or on sale when shared & have a minimum average review of 4+ stars. I don't share erotica. We also share daily tips, give advice & help on your Kindle questions, do daily book chat and do monthly contests. Contests are usually a book giveaway but this month, eReader1 US is giving away a Kindle Fire! You can enter there or on this blog but entry requires being member of the eReader1 US facebook page. Coming soon! I will soon be offering the chance for authors to sponsor giveaways on this blog and the facebook page. Prizes can be anything from a copy of your book to a Kindle. I'll share more in the coming weeks!